The Independent Review Board has released its report on the death of Baltimore Police detective Sean Suiter today, concluding, as sources have told the media in recent days, that Suiter killed himself with his own service weapon. Suiter had “every incentive” to stage his suicide to make it seem to be a murder, the report says. Some parts of the report are graphic. 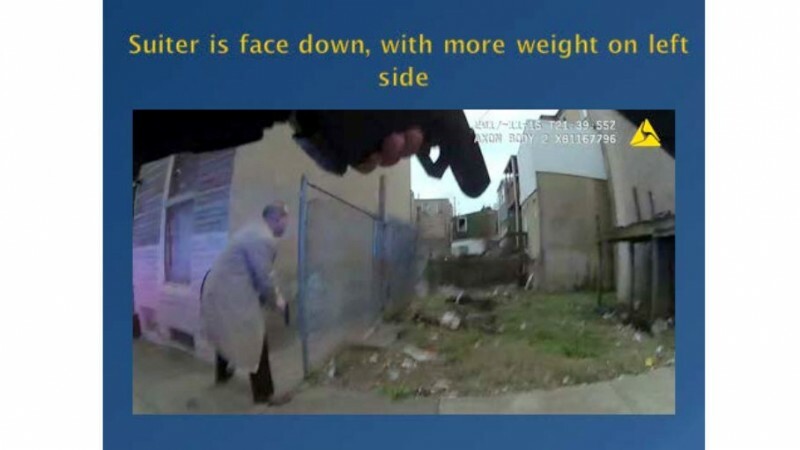 There are photos, from body camera footage, of Suiter’s body face-down in the grass. Lengthy portions of the report dissect matters of procedure, finding flaws in BPD’s investigation, including a failure to set up an Incident Command System. In comments to the media in the aftermath of the November 15 shooting, Davis had said police were looking for a suspect with a black jacket with a white stripe and that Suiter in his last moments had been involved in a physical “struggle” with his attacker. “Seeing no one, he fires the fatal shot at contact range with his right hand, which the radio captures just as the transmission abruptly ends with his collapse.” – From IRB report’s reconstruction of the shooting. Speaking earlier this week with the Baltimore Sun, Davis said he did not meet with the full IRB board because its members include two retired homicide detectives. “I don’t trust the board because there’s two BPD cops on it,” Davis said. The “evidence” for the suicide conclusion takes up many pages in the report and will be analyzed widely in the coming days. The Bennett Place Video shows Detective Suiter run into the lot alone at 4:36:10 p.m. Shots occur within seconds. Soldiers and officers are trained to anchor themselves by taking a knee or otherwise using the ground to stabilize a shot. 10) causing Suiter to fall on top of his gun, still holding the radio, as the remnants of the fatal bullet burrows several inches into the ground to Suiter’s left. The two spent cartridges are below and to the right of Suiter (which is where a Glock would discharge the cartridges of a right-handed gunman shooting into the air while moving south) and one is to the south of Suiter, reflecting the changed gun position of the fatal shot. The authors end their report on a note of reassurance.